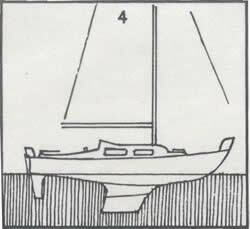 These 2018 Sailing Instructions are available for general interest as a PDF download. They will be replaced by the 2019 Sailing Instructions when they are available. If you have registered your interest you will be notified when this happens. These 2018 Rally Program is available here for general interest as a PDF download. This document will be replaced with the 2019 Rally Program when it becomes available and then updated from time to time. If you have registered your interest you will be notified when this happens. Photos of this year's entries can be found on our Facebook page. Yachts in red have yet to finalise their entry. The Darwin Dilly Yacht Rally has it roots in the Darwin Dili Races in 1973 and 1974. Read more about it here. Fascinating articles, photos and other mementos of the 1973 race. 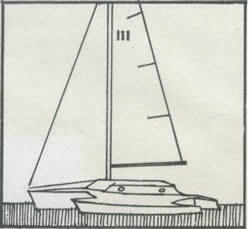 Bob Lee skippered the yacht Nicolette. Built by the joint owners in Darwin in 1967. Winner of 1967, 1968 and 1969 CYANT “ocean races”. Plywood with fibreglass and ‘Dynel’ sheathing. Amatuana derives from Aboriginal mythology meaning “Dolphin Man”. 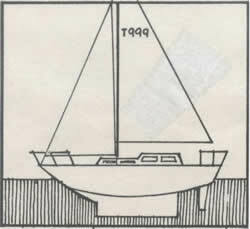 Piver Loadstar Trimaran; cutter rigged sloop. Fibreglass on marine ply. Completed August 1972 in Southport QLD and sailed to Darwin arriving October 1972. Cruising catamaran designed by Hedley Nichol of QLD and built in Darwin by skipper and crew. 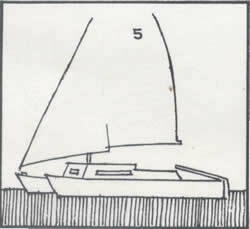 Plywood and fibreglass constructions and sloop rigged. Southerly 23 foot fibreglass sloop. 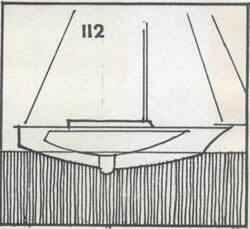 All steel masthead sloop of the Temptress class. One of 10 boats in Darwin by Buckley’s Boatyard. This class of yacht has proven itself locally and in other ocean races including the Sydney-Hobart. 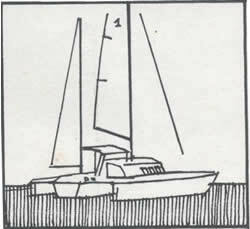 Blue Piver Loadstar Catamaran Ketch Rigged. The inaugural Darwin Dili Yacht Race left Darwin at 1100 hours on 18 August 1973 for the 425 nm voyage to Timor across the Timor Sea. Six competitors took 4-5 days to reach Dili, but they arrived well in time for the Presentation Night on 25 August, where the Governor of Portuguese Timor, Colonel Alrea Aldeia, presented magnificent trophies to all competitors. The first time that the people of Darwin and the people of Timor actively collaborated in a sporting event that was to result in friendly co-operation, good will and mutual respect. The people of Timor have a longstanding affinity with Australians, beginning with the Australian soldiers trapped on the island during World War II and who, with the help of the Portuguese and the Timorese, became a thorn in the side of the Japanese occupation force. It was fitting therefore that the inaugural Darwin Dili Yacht Race coincided with the survivors of “Sparrow Force” conducting their first reunion in Timor since the war. It was a time to renew many old friendships from harder times and to establish many new friendships from better times. A total of 24 yachts participated in the 1974 Darwin Dili Yacht Race. The record holder for line honours in the Darwin Dili race was set by the yacht Kingo in 1974 with a total time of 91:37 hours. The results of the 1974 Rally are shown below, including a full listing of crew names. It was with pleasure that in 2002, that CYANT members assisted with the organising of a yacht race to Dili to coincide with the celebrations of Timor-Leste’s independence and creation as the world’s youngest nation. 8 yachts from Darwin made the voyage. Eight yachts with about 40 crew members took part in the 400 nautical mile race, dubbed the ``Friendship Rally'', arriving in Dili in time to witness the celebrations of East Timor's Independence Ceremony. The winning yacht was Breakaway, a 12.8m keel boat cruising racer.Khamsam, a 10.4m Kelsall cruising catamaran was second, Penrod a 17m cruising catamaran was third and Sea Urchin, an 8.5m keel boat and the smallest in the fleet crossed the line fourth. Perkins Shipping, the 2002 sponsor and one of the original Darwin-Dili race sponsors attended the trophy presentations in Dili last Sunday including dual Olympic Gold medallist Susie O'Neill, International Olympic Committee Vice President Kevan Gosper and Australian Olympic Committee President and IOC Member John Coates. Terry Coulehan who sailed in the first two Darwin to Dili races in 1973 and 1974, accepted the winner’s cup on behalf of Breakaway. 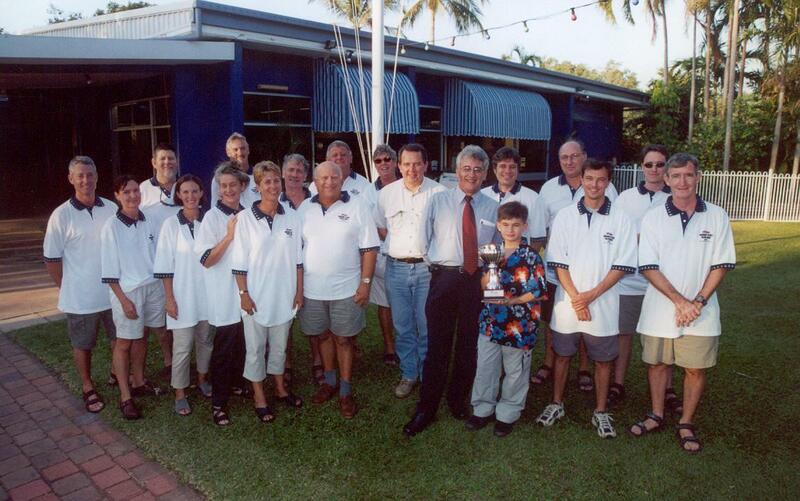 CYANT pays tribute to the many people, supporters and competitors who initiated the first Darwin Dili Yacht Race. Their legacy lives on today in the many international yachting events that depart Darwin’s shores each year. Detailed results of winning yachts, times and other rally awards in past years. Fleetperson of the Rally Awarded posthumously to Mr Aquilino Santos Caeiro for his trmendous efforts and ongoing support for to the Rally since 2010. Antipodes time of 49.2 was about 6 hours slower than the record time she set in 2015. Antipodes time of 42.98 bettered the existing record set by Australian Maid in 2013 by over 9 hours. Australian Maid, skippered by Jon Wardill, crossed the finish line in Dili with a total Elapsed TIme of 61.32 hours. Australian Maid, skippered by Jon Wardill, crossed the finish line in Dili at 1407 hours Monday 15 July, setting a new Rally record. Australian Maid's Total Elapsed TIme of 52.12 hours has been confirmed as a Line Honours Record for the event. It is more than 24 hours faster than the previous record of 76.9 hours set by Mojo 3 in 2012. Results of the 2011 Darwin Dili Yacht Rally appear below. Lorna Marlise, skippered by Matthew Baker, set a new event record with a total elapsed time of 78.17 hours, beating the previous record of 89.82 hours set by Even Karma in 2010. Results of the 2010 Darwin Dili Yacht Rally appear below. Even Karma, skippered by John Hardy, set a new event record with a total elapsed time of 89:82 hours (despite being becalmed for 15 hours on the north coast of Timor), beating the previous record of 91:37 hours set by Kingo in 1974.